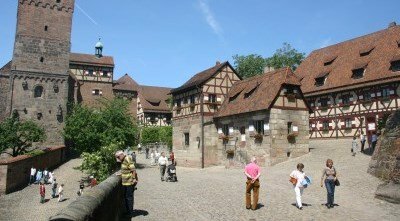 A suggested self-guided White Rose walking tour. Explore the traces of the resistance movement at your own pace. 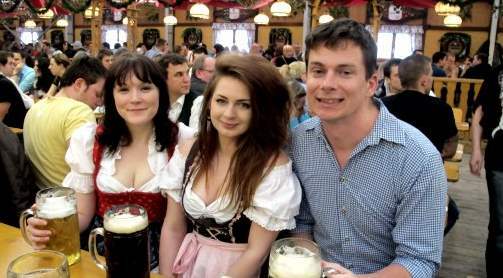 Although there are some organized "Third Reich" walking tours of Munich, there aren’t currently any dealing specifically with the White Rose. 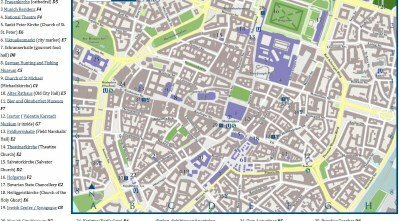 I’ve put this guide together for visitors wishing to make their own self-guided walking tour/pilgrimage to White Rose related sites. 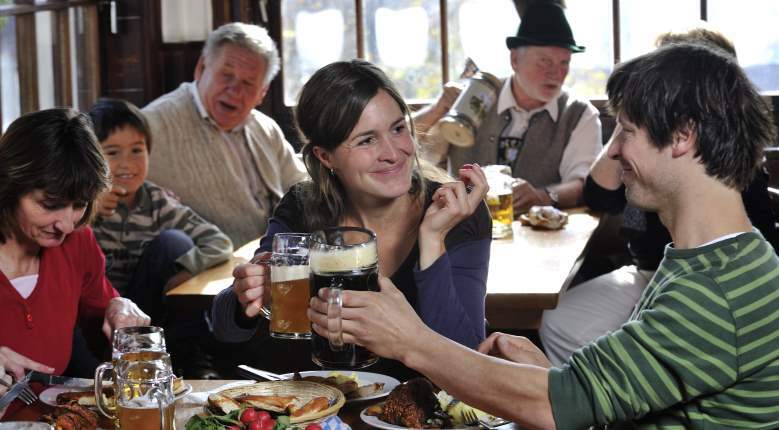 Count on 3-4 hours to do this tour at an easy pace. This is the second page of a three-page look at the White Rose on Destination Munich. To learn about this group of brave students who dared to defy the Third Reich see the first page here at Sophie Scholl and the White Rose. 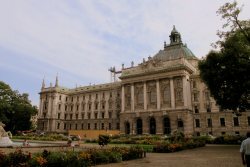 There is also a page on the refurbished White Rose Museum at Munich’s Ludwig Maximilian University. 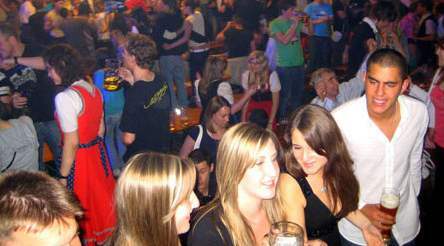 First take the underground train U3 or U6 to Gisel Strasse, then walk north to Franz Joseph Strasse and turn left. Walk up until you find a plaque on the wall of No.13 on the left hand side. This is where Hans and Sophie Scholl lived while they were studying at Munich’s university. It was from here that the Scholls carried a suitcase full of anti-Nazi leaflets to the uni on the day they were arrested, 18 February, 1943. The plaque reads: "Sophie und Hans Scholl – die unter dem Zeichen der ˶Weissen Rose ̋ aktiven Widerstand gegen das Dritte Reich geleistet haben wohnten von Juni 1942 bis zu ihrer Hinrichtung am 22 Februrar 1943 hier im Rückgebäude". 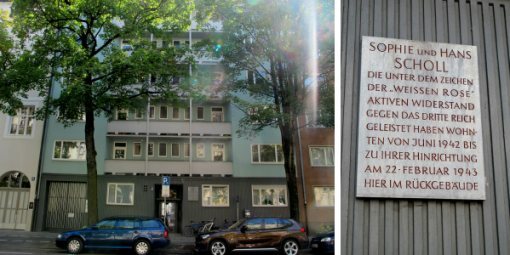 In English, this means: "Sophie and Hans Scholl – Who gave resistance to the Third Reich under the sign of the "White Rose" lived here in the back building from June 1942 until their execution on 22 February 1943". 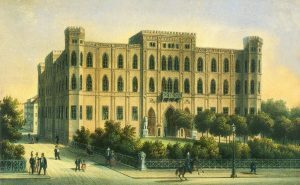 main entrance of Munich University. 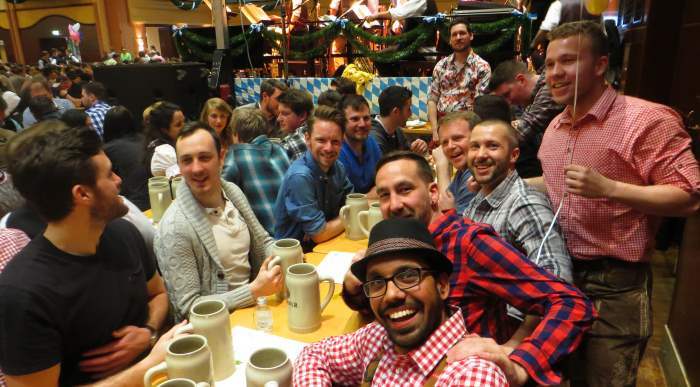 Go back to Leopold Strasse and head south. You’ll pass the Siegestor triumphal arch and soon come to a broad square spanning both sides of the street with a couple of fountains in the middle. 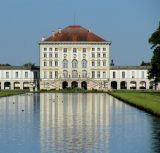 This is the heart of the Ludwig Maximilian University, where the Scholls and other members of the White Rose were students. The square to the east of Ludwig Strasse (on your left) is named Professor-Huber-Platz, in memory of the philosophy and musicology prof Kurt Huber, who was also a member of the resistance group. 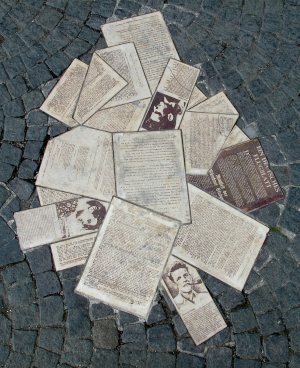 The square to the west of Ludwig Strasse is called Geschwister Scholl Platz (Scholl Siblings Square) Stop outside the main entrance of the building on Geschwister Scholl Platz and look down to find a unique pavement memorial to the White Rose. Looking like they’ve been dropped onto the cobblestones is a group of ceramic tablets depicting the White Rose leaflets and brief biographies of Hans, Sophie and Christoph Probst. The scene of the "crime"
were caught distributing leaflets . 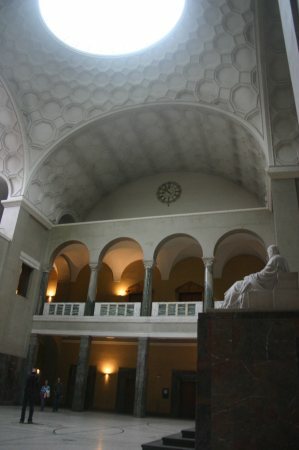 Now go through the main doors into the central atrium (Lichthof) of the university. It was here that the Scholl siblings hurrily stacked their anti-Nazi leaflets while the classes were in session, and the top floor from where Sophie flung another stack, only to be seen by a custodian and arrested. Today there is a bronze bust of Sophie on the far right corner of the atrium which is usually garnished with a flew flowers. Go down the steps to the right on the far side of the atrium to get to the DenkStätte Weiβe Rose (White Rose Museum) a refurbished area with displays, drawings, original books and possessions of the White Rose members. on a wall of Munich University. 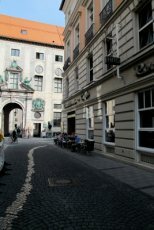 Once you’re finished at the museum, leave the building and continue south along Ludwig Strasse. 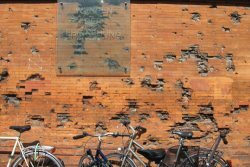 Stop at Schelling Strasse and have a look around the corner and you’ll find another unusual memorial – a red wall pockmarked with damage from World War II bombs. This is one of three "Wunden der Erinnerug" (Scars of Remembrance) memorials around Munich in memory of the war. Now cross back over Ludwig Strasse and continue south to Galerien Strasse. 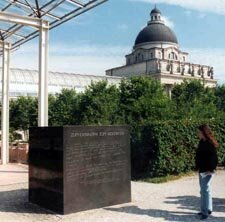 Then turn left and at the end of the building on the left bounding the former Royal Hofgarten you’ll find another White Rose memorial, a large cube of black granite inscribed with words from the resistance movements’ leaflets. The inscription reads: "Zum Erinnern zum Gedanken – Wir wollen hier nicht urteilen über die verschiedenen möglichen Staatsformen, die Demokratie, die konstitutionelle Monarchie, das Königtum usw. Nur eines will eindeutig und klar herausgehoben werden: Jeder einzelne Mensch hat einen Anspruch auf einen brauchbaren und gerechten Staat, der die Freiheit des Einzelnen als auch das Wohl der Gesamtheit sichert Freiheit der Rede, Freiheit des Bekenntnisses, Schutz des einzelnen Bürgers vor der Willkür verbrecherischer Gewaltstaaten." In English, this means: "For remembrance, for contemplation – We don’t want to judge the different possible forms of government, democracy, constitutional monarchy, kingdom, etc. Only one thing should be stressed loud and clear: Every single person has the right to a workable and just state in which the freedom of the individual as well as the good of the whole community guarantees freedom of speech, freedom of association and protection of the individual from the despotism of criminal and violent regimes." 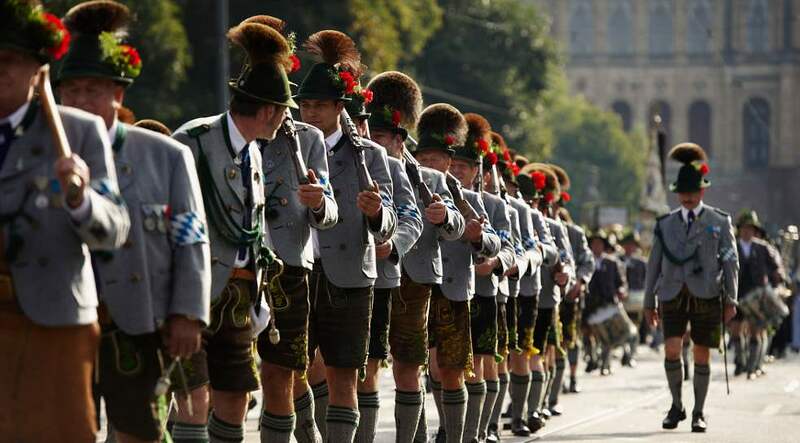 Now go diagonally across the Hofgarten, past the Diana Temple and Café Tambosi onto Odeonsplatz. 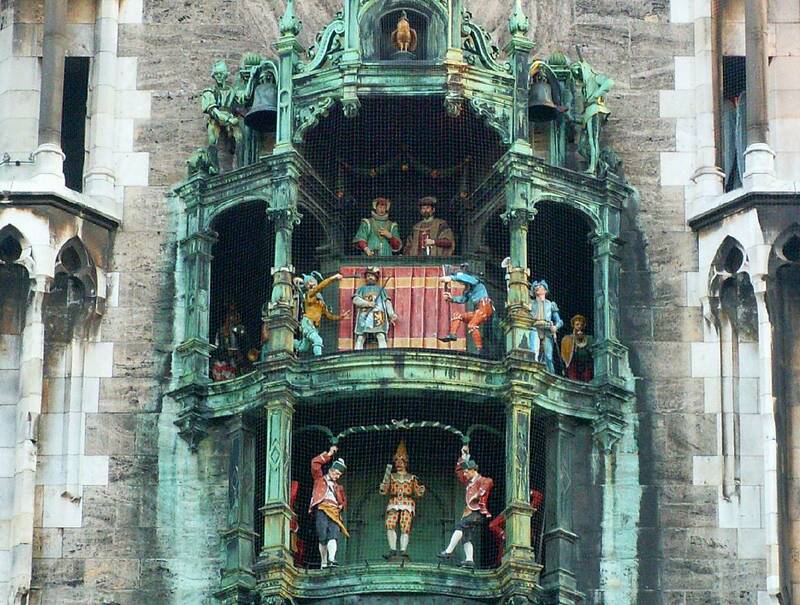 Walk south along Residenz Strasse until you’re about level with the side of the Feldherrnhalle loggia. At this spot on 9 November, 1923, Hitler and other budding Nazi thugs were involved in a shootout with police after attempting to seize power. 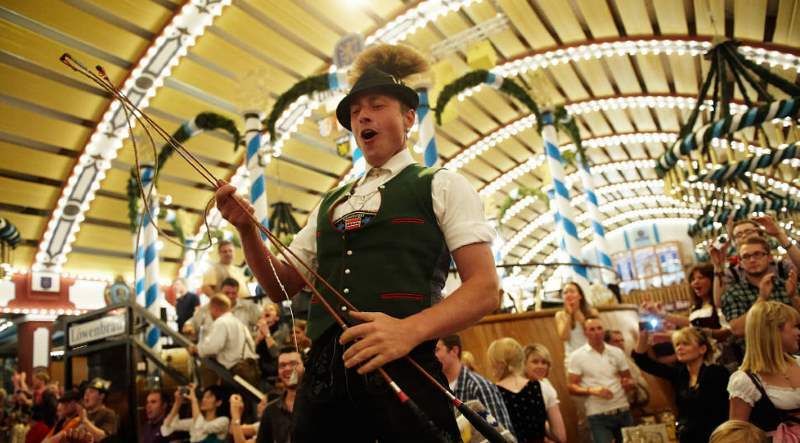 Four police and 16 Nazis were killed in the incident which has become known as the "Beer Hall Putsch". The attempt failed and Hitler went to jail, where he dictated his manifesto Mein Kampf to a colleague. After the Nazis rose to power they place a memorial here to their 16 dead "martyrs". 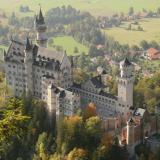 It was manned constantly by two SS guards and passers-by were obliged to give the "Hitler salute". Left: A historical photo of the Nazi memorial at Odeonsplatz; Right: the same spot today, as seen from behind one of the lion statues outside the Royal Residenz. Now continue a little further south to find Viscardigasse, a narrow alleyway, on your right. During the Third Reich this was known as "Dodgers’ Alley", as those who wanted to avoid giving the Hitler salute would duck down here instead. There’s a trail of bronze cobblestones in salute of the dodgers. I imagine the White Rose members were among them. After dodging down Viscardigasse yourself, loop back up to the right past the yellow Theatine Church and make a left down Brienner Strasse. Just before a busy intersection you’ll find a grassy area on the left, this is the Platz der Opfer des Nationalsozialismus (Square of the Victims of National Socialism). 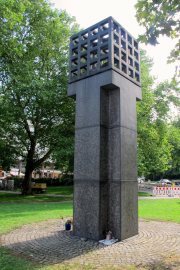 In the center of the square is another memorial, an eternal flame (representing the victims) burning inside a cage atop a large plinth. headquaters during World War II. Now cross over Brienner Strasse and again over the Oskar von Miller Ring to the north-west corner of the intersection. 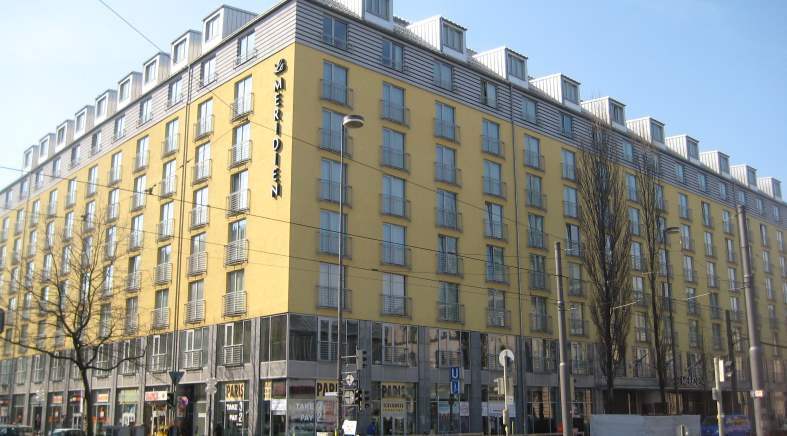 Now the site of a nondescript grey building housing the Bayerischer Landesbank, this address (No. 20) was once the site of the Wittelsbacher Palais. 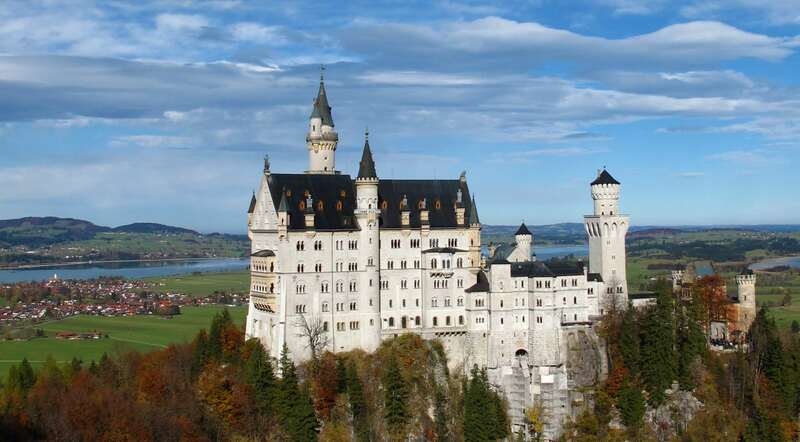 This grand building was a residence and officers of the old Bavarian Royal Family. During the Third Reich it became the Gestapo headquarters and this was where Hans and Sophie Scholl and Christoph Probst were interred and interrogated after their arrest. The Palais was heavily damaged by Allied bombs in 1944 and demolished in the 1960s. There is a memorial plaque to the White Rose somewhere on the current building that occupies the site. Cross back over Brienner Strasse and follow Otto Strasse south-west until you get to the imposing Justizpalast (Palace of Justice) at Prielmayer Strasse 7. This is where Hans and Sophie Scholl and Christoph Probst faced their show trial on 22 February 1943. A that time the building was called the Volksgerichtshof (meaning People's Court), where people accused of political offences against the Nazi State were tried. The trial of the Scholls and Probst took place in the Schwurgerichtsaal (Assizes Court Hall). Less than two months later on 19 April 14 more accused White Rose members faced their own trial in room 253. Among this group were medicine students Willi Graf and Alexander Schmorell and Professor Huber, all of whom were later beheaded. Room 253 is now a memorial for the White Rose members and it’s open to the public from 9am-4pm weekdays (except 10 April-31 May and 10 October-30 November when the room is used for law exams). Now it’s time to bring your White Rose tour to an end at the place where the movement’s three biggest heroes also ended their journey. 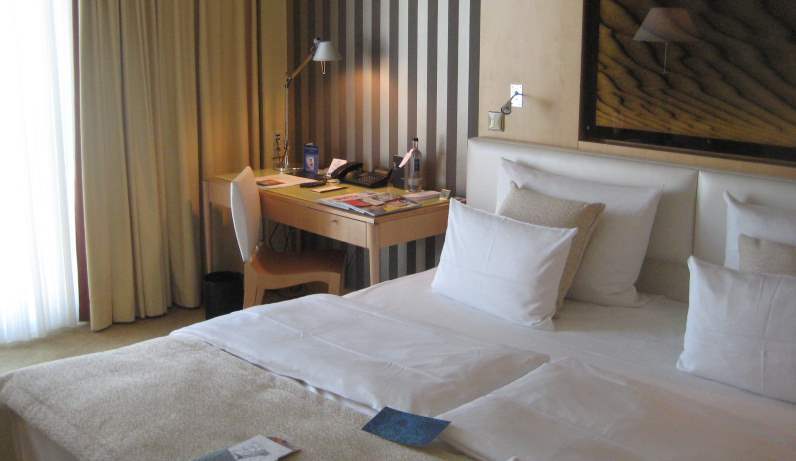 After leaving the Palace of Justice cross over Prielmayer Strasse and go past the entrance of the Hotel Königshof. Go to the tram stop and catch tram 17 to the end station Schwanseestraβe. There’s a florist just across from the stop called Rutz Christina where you might like to call in to collect some flowers. Cross over Stadelheimer Strasse and head south-west about 50m to get to the entrance of the Perlacher Forest Cemetery (Friedhof am Perlacher Forst). Further down past the cemetery is Stadelheim Prison, where the White Rose members were executed. Head into the cemetery and you'll see the grave is marked on a plan at the entrance, it’s number 73-1-18/19. When you get to the graves of Sophie, Hans and Christoph lay your flowers and indulge in a few minutes contemplation. Maybe you’d like to think about how young these people were and how much courage they had to speak out again a system that enveloped their entire society. Perhaps you could image the lives they would have had, had they not been caught on that wintry day in 1943, the children they might have had, the careers the men might have had as doctors healing and saving lives. Or maybe you could think about the part of them that lives on, the legacy of the White Rose. It’s an enduring symbol indomitable spirit, of having the audacity to stand up for the ideals of peace and freedom, knowing the inevitable cost would be the ultimate price. Here's a map of the sites connected to the White Rose movement mentioned on this page. You can click on it for more information about each of the points along the way. I recommend you start at the top of the "line" which is the former Scholl student residence. The line ends at the tram stop you need to get to if you want to continue on to the cemetery where Hans and Sophie Scholl and Christoph Probst are buried. Zoom out to see this point, which is in Munich's south. If you do undertake this tour, please share you impressions in the comments section below. 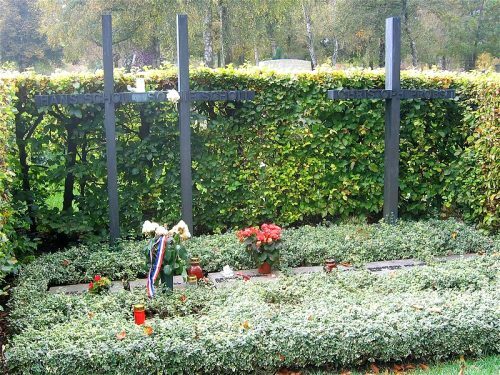 • Read more about the White Rose and its members on the page Sophie Scholl and the White Rose. 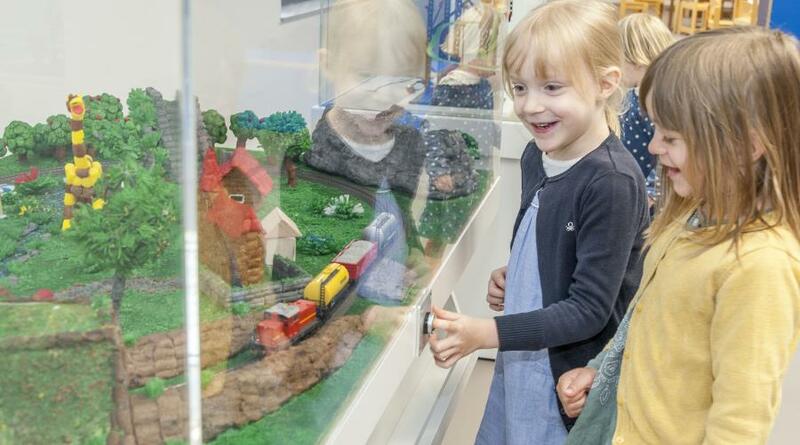 • Learn about the refurbished White Rose Museum here. 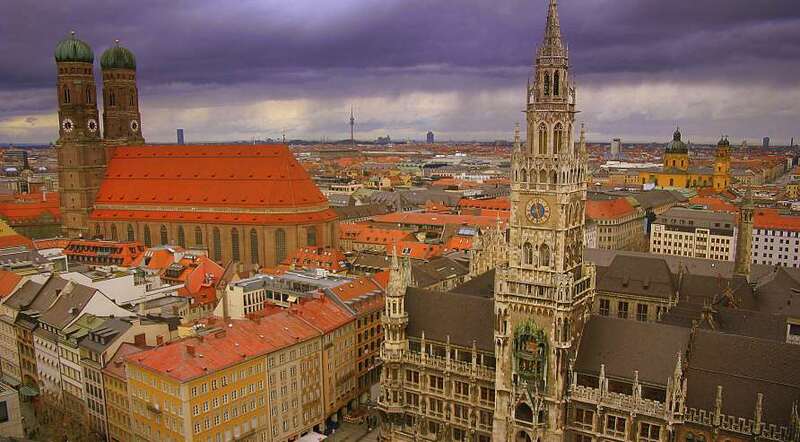 • Discover other parts of Munich's history at Munich Backstory. 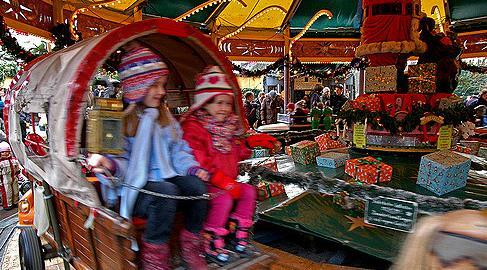 • Jump from White Rose Walking Tour back to Destination Munich Home.